13. Evaluation of acetylcholinesterase inhibitory activity of Brahmi nei, a Siddha formulation using in - vitro techniques. 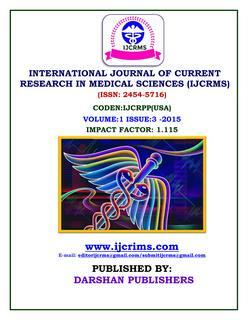 G. Arunkumar, J.Kingsley, Dr.A.Mariappan, Dr.S.Sivakkumar, Dr. S.Visweswaran, Dr.V.Banumathi.